The City of Beverly, Massachusetts, has partnered with Flowbird Group to launch a new pay-by-plate parking system to manage and support its long-term economic vitality. Parking meters in the downtown area have been replaced with 95 Flowbird Strada kiosks, where drivers can now use a smartphone app, a debit or credit card, or coins to pay for parking. The decision to upgrade is due to a steady increase over the last 4 years in visitors coming to the downtown area to shop, dine and attend events. It was determined that although there was enough public parking in downtown, it was not being used efficiently or effectively. 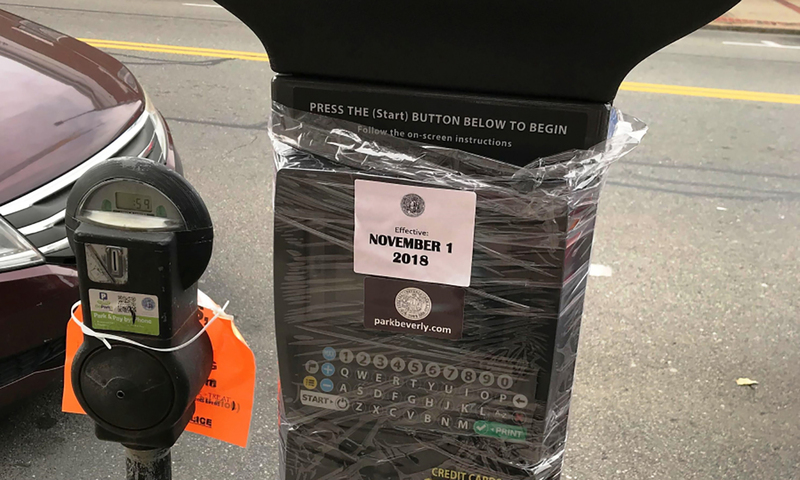 The City worked with a consultant to create a parking management plan for the downtown, including swapping out the antiquated, single-space meter heads in favor of multi-use kiosks. The new solar-powered Stradas are user-friendly with a large color screen and customized interface. The kiosks will function in pay-by-plate mode, instructing users to input their license plate number and parking duration. The user can then complete payment and is not required to display their receipt on their dashboard. Each kiosk accepts credit/debit cards, coins and are compatible with Beverly’s mobile payment app and citation issuance system. The switch to a pay-by-plate system allows the City to implement permitted parking for both downtown businesses and residences living in congested areas. Permitted parking will be verified by enforcement officers via the vehicle’s license plate number. By implementing ‘Permit Parking Only’ and ‘4 Hour Parking’ zones in downtown residential areas, commuters will be encouraged to park in the nearby MBTA parking garage for just $2 per day. The new kiosks also allow the City to use a tiered system of parking rates, minimizing congestion in popular parking zones. The idea is to have spaces available downtown for people who want to patronize businesses, and to push people who may not mind walking, into less-expensive spaces further away. For example, in the “core” parking zones (busier streets like Rantoul and Cabot street), parking will be 75 cents per hour; 50 cents per hour in “secondary” zones; and 25 cents per hour in City parking lots. Under the new system, Flowbird’s kiosks are customized so that the first 20 minutes are free at any on-street space, allowing someone to grab a cup of coffee or other similar quick errand. The idea came from Mayor Cahill, who thought that those investing in downtown should not have to pay for a full hour of parking. Currently, Flowbird supports over 40,000 parking pay stations for 600 customers throughout the U.S. This project allows the company to continue its rapid expansion across the State of Massachusetts working together with its local distribution partner, Wescor Parking Controls, based in Auburn, MA. The Wescor team managed the installation of Beverly’s Strada kiosks, and will provide local service and support.